Australians loved this fresh telling of the Christmas story, and this year we want more families to enjoy it. For 2018, we’re aiming to help churches reach out to more than 300,000 children and their families with The Really Good News of Christmas – For Me! Fill in the order form (see below) and we will post out copies of The Really Good News of Christmas – For Me! as soon as the little books are ready. 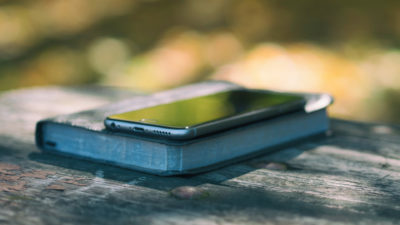 We'll also provide you with digital resources that will have everything your church or group will need to run your whole kids’ Christmas programme — the play, video and even how to make costumes. You can even pre-order copies of The Seriously Surprising Story Easter little book as well. We are giving away these little books (normally RRP $2.99) and digital resources for FREE. 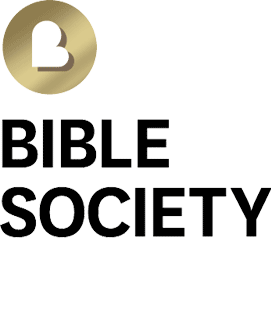 We want everyone across Australia to engage in the Bible story. That’s why right now we’re working to provide Bibles to people who don’t have one. Please consider making a donation to support our mission. 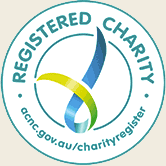 We’re really excited you are joining more than 1,500 Australian churches who ordered our FREE children’s books last year. This year is looking even bigger! More kids reading about Jesus at Christmas is really good news and reason to praise God. Don't miss out! This offer will close on 10 December 2018. Please note: Orders at present require 2 weeks for processing and delivery. Offer valid for deliveries within Australia only. 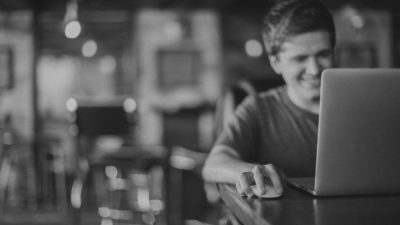 Limit of ONE ORDER per church/organisation. Share this offer with other churches and Christian groups! How is this year’s Christmas little book different to last year’s? This year’s The Really Good News of Christmas - For Me! 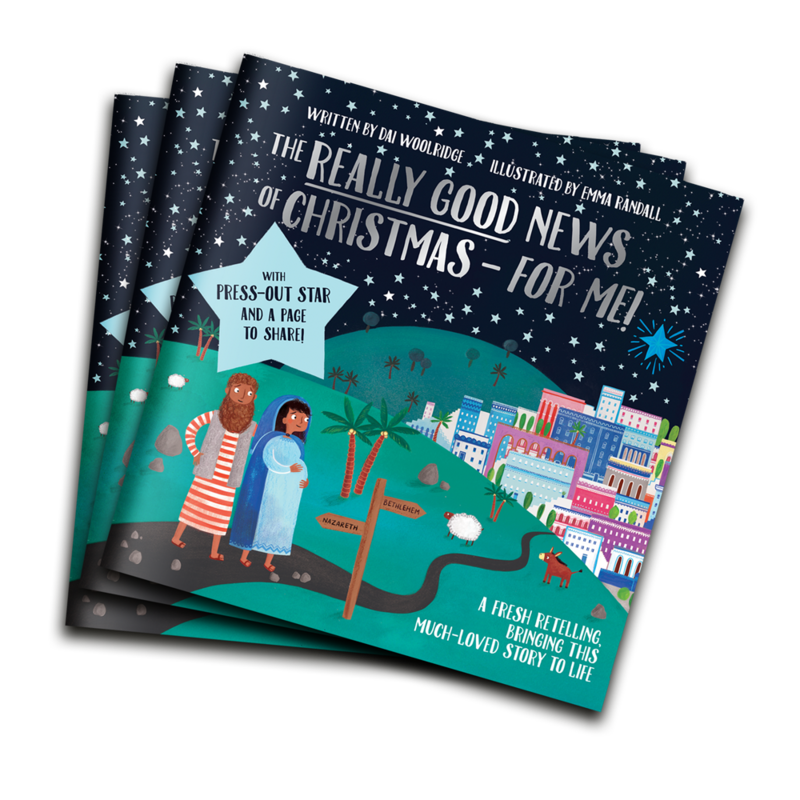 Christmas little book helps children share the good news themselves, with an activity page that they can personalise and give to a friend, as well as a pop-out star Christmas decoration to keep. We've also updated the book based on last year's feedback so it's even more effective. 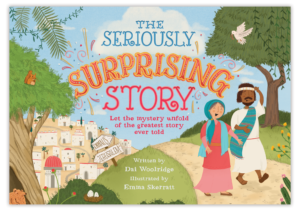 The Easter little book that will be distributed in 2019 is The Seriously Surprising Story written by Dai Woolridge and illustrated by Emma Skerrat. In the book, the events of Easter are shared with readers by two disciples travelling on the road to Emmaus (Luke 24). It's a 28 page, 21 cm x 14.8 cm little book printed in full colour. Orders at present require 2 weeks for processing and delivery. If you have a particular week that you require these books by, please indicate so in the order form and we will do our best to have those delivered to you in that week. Click on this link to access The Really Good News of Christmas - for Me! digital resources pack. Is there information I can share with my minister? Download our 'At a glance' sheet here.